We believe it’s how you live that matters and are here to help you experience all that Spring has to offer in our local communities. That’s why we’ve compiled a list of our favorite ways to enjoy Spring fun in Richmond and Williamsburg! Richmond Flying Squirrels Baseball (April 4 – September 2): Grab your glove, put on your baseball cap and get ready to cheer on the Flying Squirrels during the 2019 season! In addition to thrilling games, you can enjoy themed nights, firework displays, giveaways and more. It’s fun for the whole family! Richmond International Film & Music Festival (April 23 – 28): As one of the largest competitive film festivals in the Mid-Atlantic, RIFF offers cutting edge films, nightly international music and educational panels. Taking place at various locations throughout Richmond, it’s very convenient to attend! HenROCKus at Henricus (May 4): Rocking out to local bands, relaxing in a lawn chair and enjoying views of the James River are all on the agenda for HenROCKus at Henricus Historical Park. This event is great for all ages and is sure to be a rockin’ good time! Busch Gardens (March 23 – August 31): Spring has arrived and that means it’s time for rides and thrills! Busch Gardens has several new rides this year plus delicious food, exciting performances and more. There’s something for everyone! Art on the Square (April 28): Head to Williamsburg to experience an exciting day of local arts and crafts at the 54th annual Spring art show. All proceeds from the art show are donated to visual and performing arts organizations in the community. Williamsburg Taco Festival (May 5): Celebrate Cinco de Mayo while raising funds for a great cause! Not only will you enjoy delicious tacos from local food trucks, but you’ll be raising money for Alzheimer’s Association’s The Longest Day campaign. The best part is that all of these events are near our communities in Richmond and Williamsburg! If searching for a new home is on your Spring to-do list, we can help there too! 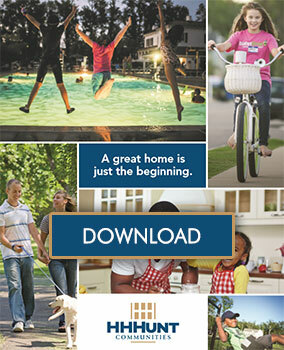 Check out our website to find your dream home in a community you’ll love.